Arbor Day was a few days ago and although we didn’t get around to planting a tree we did plant some vegetables in our garden beds! 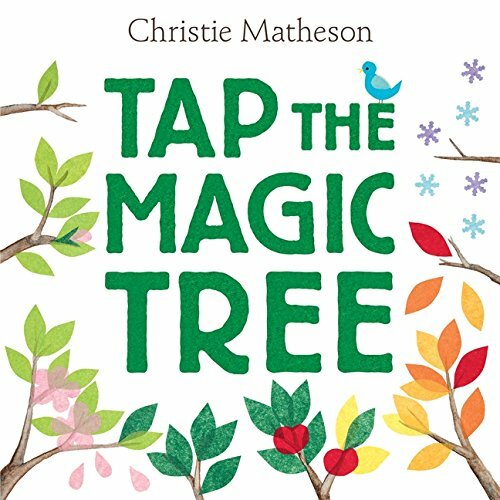 We also read one of our favorite books, Tap The Magic Tree, and did a little tree branch painting activity. We went out to the backyard and collected some branches that had fallen from a tree. Branches have great texture and I love the way paint looks on them. We used acrylic because it sticks a little better than tempera but whatever you have on hand would work! It’s all about the process! Doesn’t that look cool? This was a great activity for my girls to have some independent creative time. I like when I can set out materials and just let them go without having to assist them too much. We let one side dry before flipping it over and doing the other side. These beautiful sticks can be used to hang art like we did for our Bubble Wrap Wall Hangings and Water Bottle Fish Wall Hanging. What are your favorite natural materials to paint on? Try this one next! Find other nature inspired ideas here.